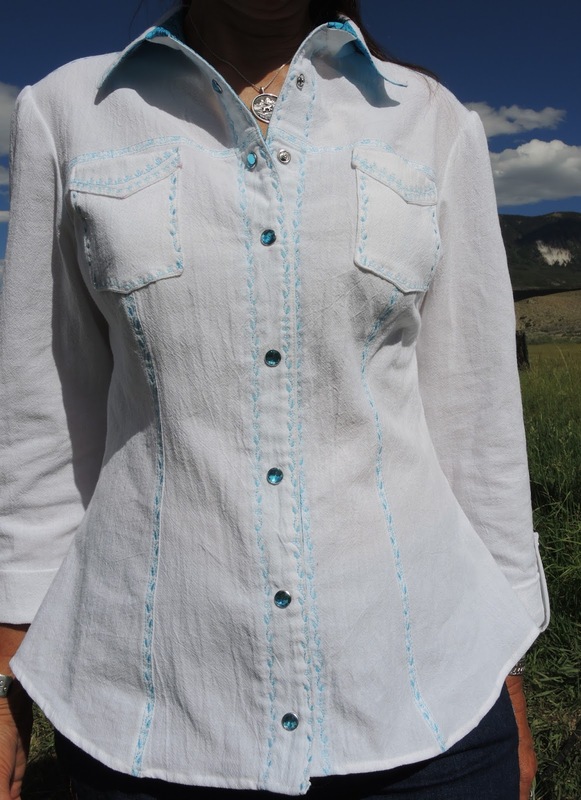 This is the Rosa shirt from Tilly and The Buttons. I think I found my perfect shirt pattern! I love three-quarter length roll-up sleeves with button tabs. Excellent opportunity for pretty top stitching along the seams. I also love pearl snaps! 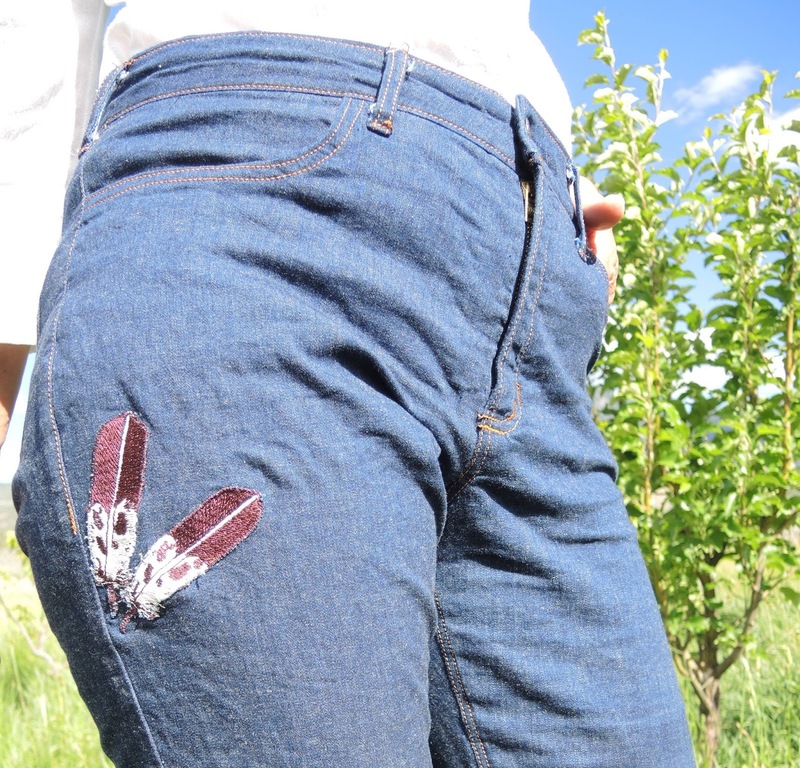 Ginger Jeans with eagle feather embroidery. WOW! 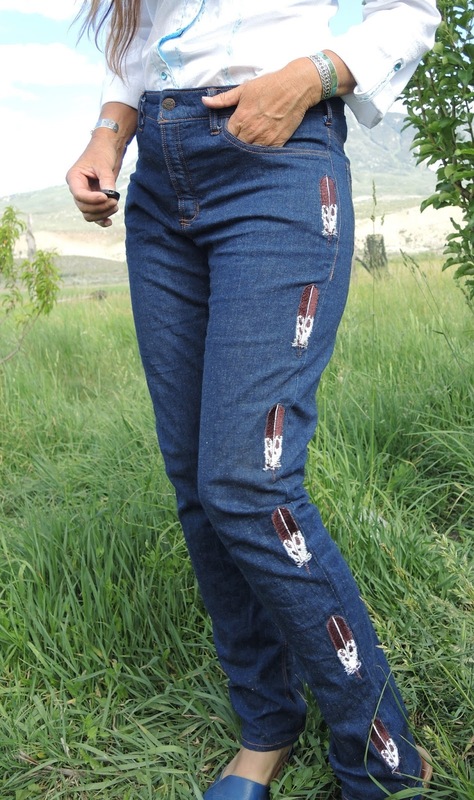 The eagle decided to bless these jeans! I just saw her in the sky of this photo! can you see her above the mountains? I decided to make this pair of jeans a little looser fitting because my last pair is a little too tight but than I lost weight so now these are a little too loose! Ah! the fickle finger of fitting!!!!! I do love how the eagle feathers came out! 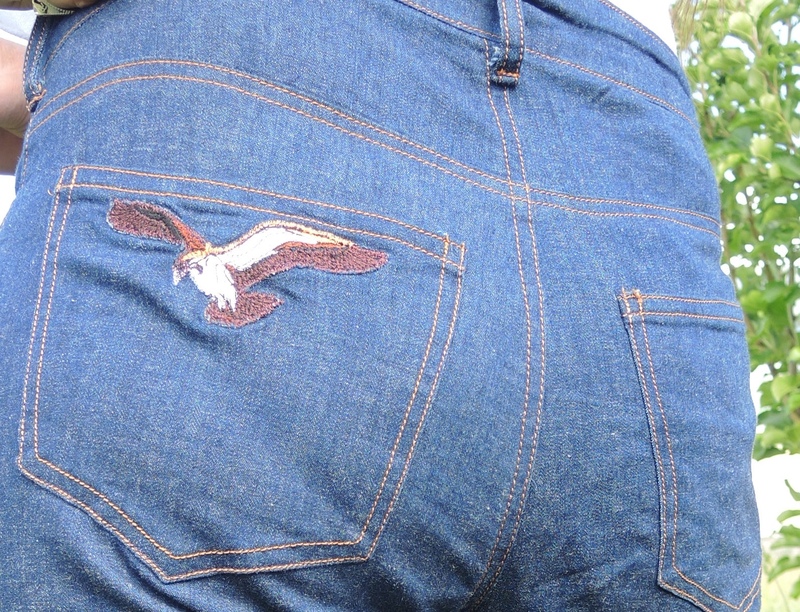 And the eagle on the back pocket! Angles are wonderful but they are so, well, aloof.